The onset of March and imminent arrival of spring herald the return of triathlon season. Whether an athlete plans to decimate rivals or personal records, those who have made the commitment, put in the time, and want to bring their best need the right gear to hit the ground running, riding, or swimming. 300magazine presents the finest triathlon gear for competitors who demand the best of themselves and their equipment. Far from utilitarian locker room flotsam, the following products radiate premium quality that exceeds necessity and enters the realm of true luxury. Athletes who are serious about their bikes know that a custom fit is essential to maximizing performance and avoiding injury, but comparatively few take the next logical step: an entire custom bike. Bespoke bicycles from the workshop of Bill Holland rank among the finest available. Strictly speaking, “available” might be the wrong word, because Holland Cycles generally has a waiting list for its annual production of 50-150 frames. The rider who waits is rewarded with one-of-kind ride built to suit his style, body, and tastes. During his 42 years of handcrafting bikes, Holland has built frames for Olympians, captains of industry, and riders with unique physical needs. Nothing that can be imagined is beyond reason. Want a complete customized racing bike that fits in standard airline baggage? It’s been done. While Holland Cycles specializes in road bikes, the advantage of full-custom fabrication means that any road, triathlon, or dual-purpose design is within the realm of possibility. Each customer receives a professional fitting, engineering schematics for approval, and sky’s-the-limit selection of the finest mechanical or electronic drivetrains, wheels, accessories, and custom paint from Holland’s in-house paint shop. A bike’s ride can be as soft or as firm as desired, and the handling can be specified as responsive or stable to suit personal preference. 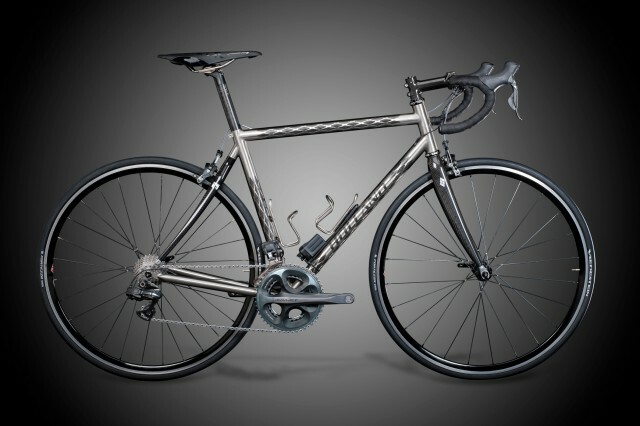 Holland Cycles builds frames in titanium, carbon fiber, and a combination of both called ExoGrid; each offers unique qualities. 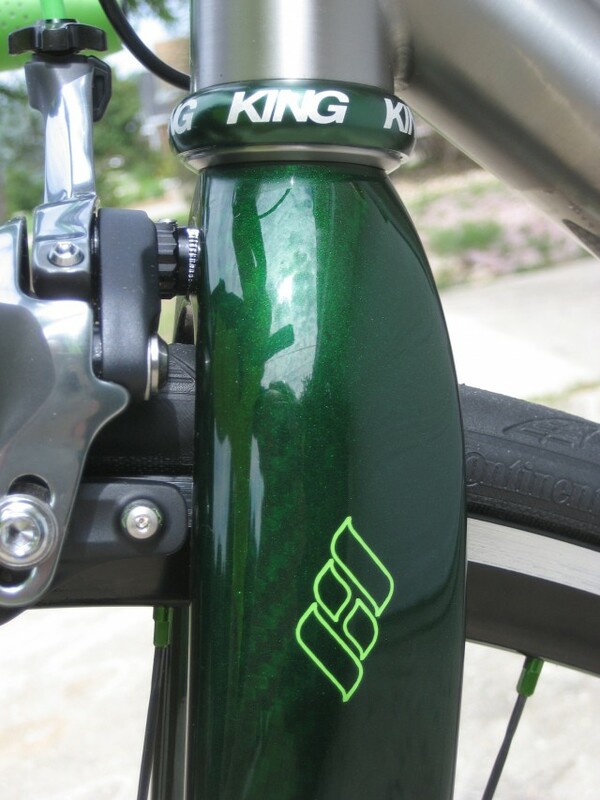 Because every frame is custom-built, there is no such thing as a “standard” Holland bike. Customers who order a Holland are expected to be as passionate and involved in the build planning as the artisan himself. While custom bicycle fit is a respected necessity among triathletes, surprisingly few extend the logic to running shoes. Those who watch news of the professional triathlon circuit know that avoiding injury is a struggle in itself, and proper equipment fit is essential to avoiding injury. A shocking number of run splits collapse under the burden of off-the-shelf running shoes. Fads and sham remedies such as barefoot running are not the answer. The Hersey Custom Shoe Company of Fitchburg, Mass. stands ready to help triathletes avoid costly “missteps.” Since 1982, Hersey has passed from founder Joe Hersey to his apprentice, Stephen Kioseian while working toward the perfection of its signature product, the DPS Custom. Today, Hersey continues to offer the DPS running shoe, but contemporary racing flats and trail running shoes have joined the model range. Every shoe is a custom order based on tracings and measurements of a runner’s foot; Stephen offers personal fittings at his Fitchburg workshop for athletes who require absolute precision. 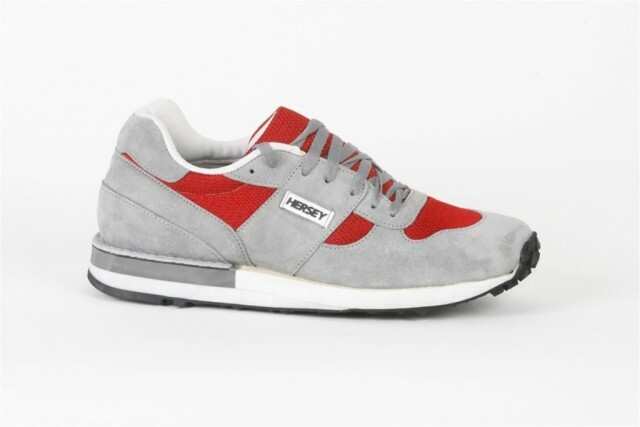 As custom footwear, the Herseys are based on a unique “last” template that is tailored to each buyer’s foot and retained for future reference. Not only is a Hersey built to account for the geometry of a foot, but specific running styles, existing injuries, and aesthetic tastes are taken into account before the shoe is built. Special orthotics, breathable uppers, and special heel extensions can be added by request. Athletes used to disposing of running shoes after the standard six-months-or-300-miles may be taken aback to learn that that Hersey shoes can be re-soled three or more times without requiring replacement. Even more shocking to triathletes who watch news of escalating equipment costs are the reasonable prices of Hersey products; a new Hersey custom race flat may cost less than far-eastern imports marketed under familiar brand names. 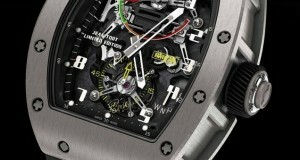 Readers of watch news are alert to the significant role that precision timing plays in triathlon. A sports watch must survive forceful submergence, temperature variations, and the shock of competitive exertions. Naturally, a Casio G-shock can do the job, but this is 300magazine, so how about a tool watch with style? 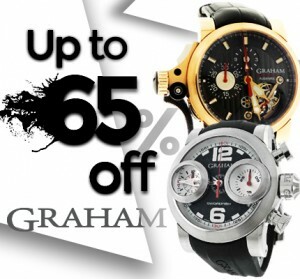 And skip the Omega Seamaster and the Rolex Submariner; reach for the best. Launched in 1953 as the first modern dive watch, Blancpain’s timeless flagship remains the best. 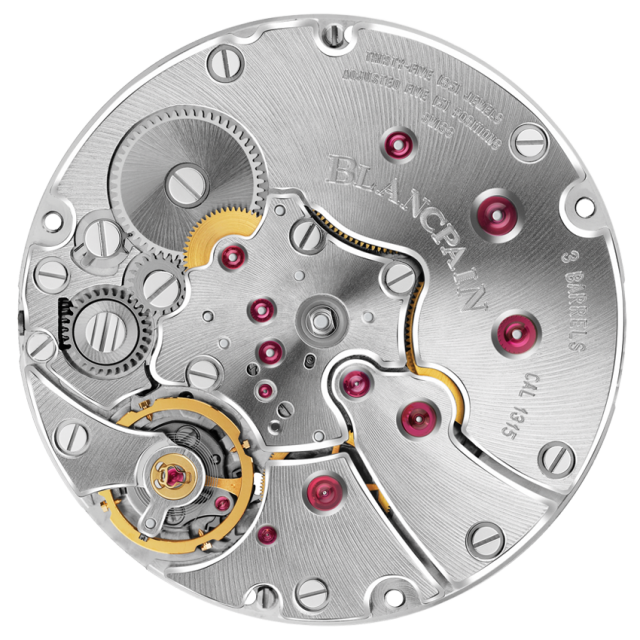 Its in-house caliber 1315 movement eschews quotidian C.O.S.C accuracy standards in favor of accuracy targets that rival some quartz models. The power reserve is a beastly five days. The movement is braced against shock, shielded against magnetism, and insulated against the effects of extreme temperatures. The case is gorgeously detailed and built like a Brinks truck. A seemingly indestructible sailcloth strap is anchored to the lugs by counter-torqued screws – a rarity in this era of cheap spring pins. 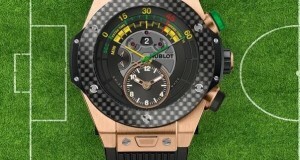 The dial and bezel offer enormous numerals and indexes that can be read in any light and while on the move. Triathletes who have face-planted while trying to read the gray-scale display of a Timex Ironman will appreciate Blancpain’s big, bold, high-contrast indications. Sure, the Fifty Fathoms exceeds any triathlete’s needs. For that matter, a Holland is a big commitment, and Hersey custom footwear cannot be found on closeout at Walmart. But the essence of a competitor is permanent hunger. Each win is the prelude to a bigger conquest. Every new personal record becomes the next target in an athlete’s sights. If the competitor in you believes that one climbs a mountain to gain the best view of the next peak, why not bring the best gear for the job?